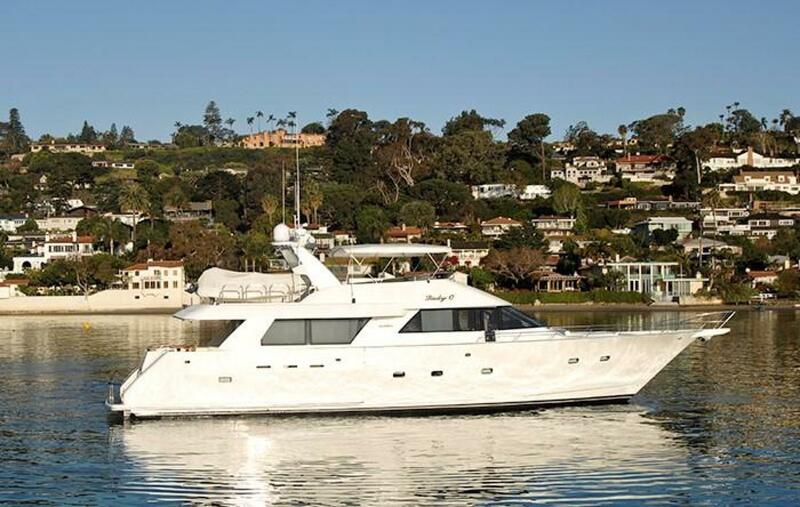 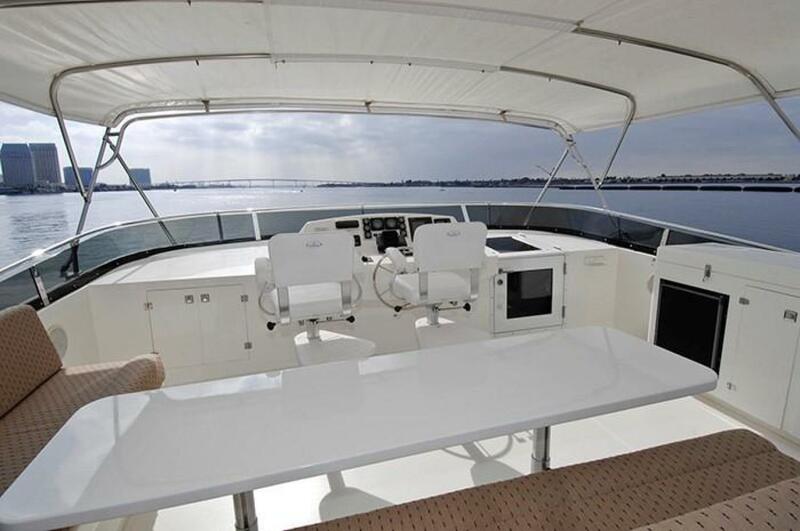 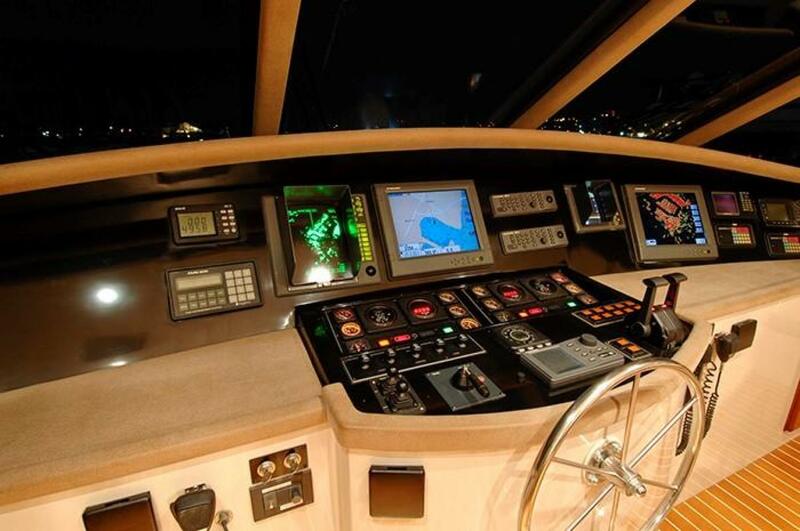 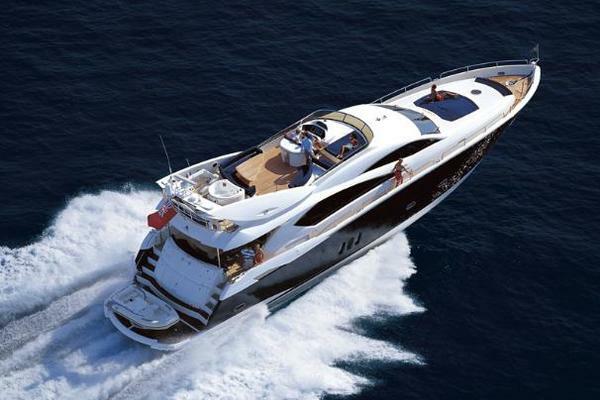 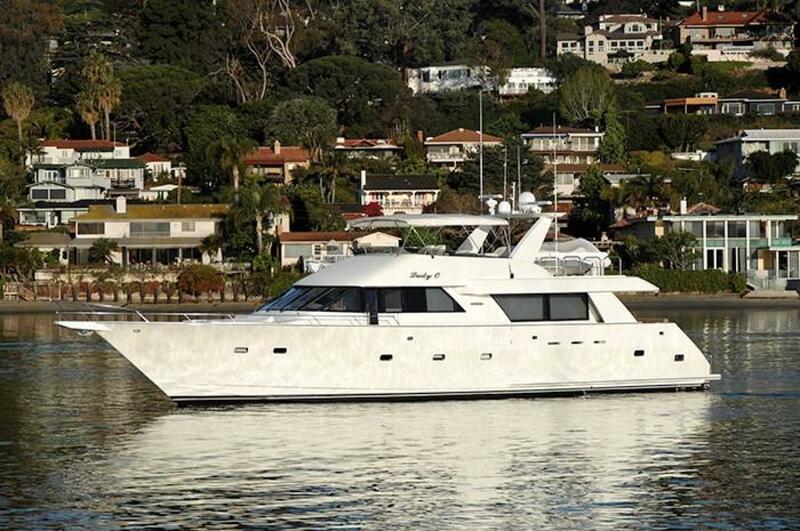 This 82' Northcoast is an excellent example of a clean, high pedigree, pilothouse motoryacht. 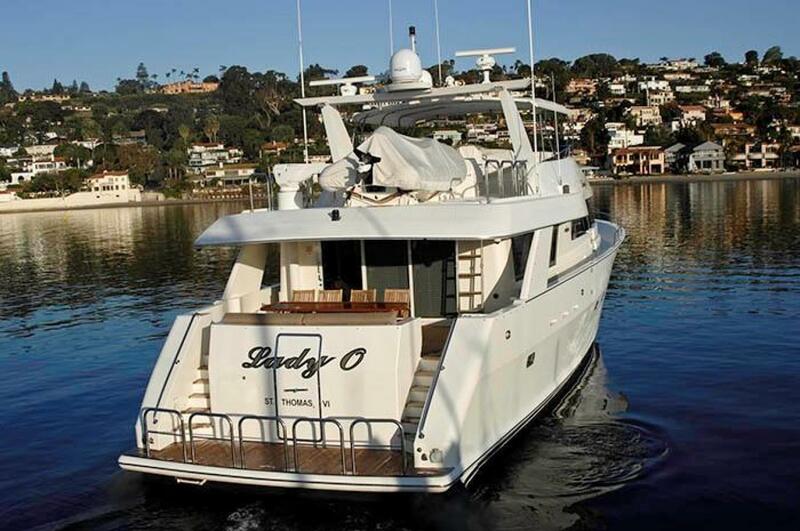 LADY O underwent an extensive refit in 2007 which included an all new interior complete with custom furniture, carpets, headliner, custom cross-cut cherry carpentry, all new galley appliances and granite counter tops added throughout the vessel. 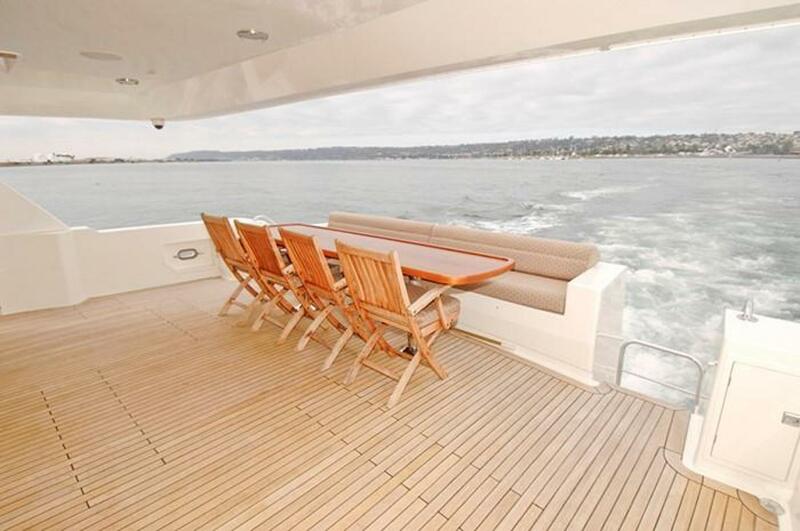 The aft deck was extended which allowed for an additional crew cabin to be installed. 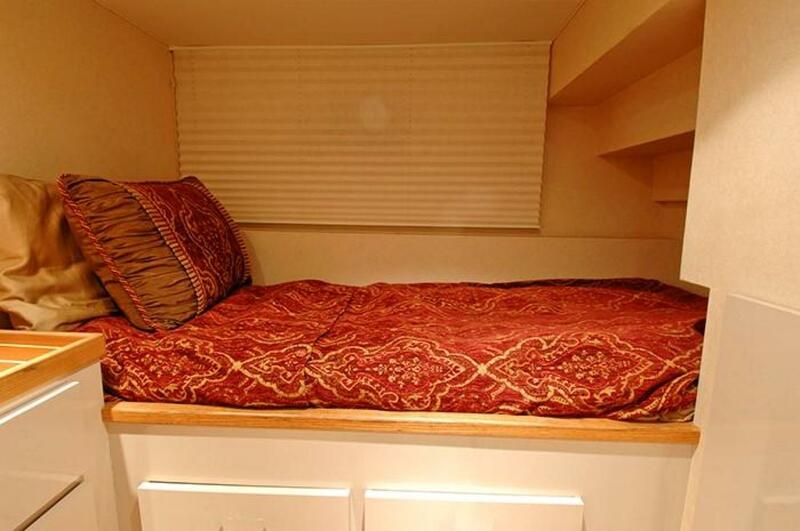 The interior soft goods were updated again in 2015. 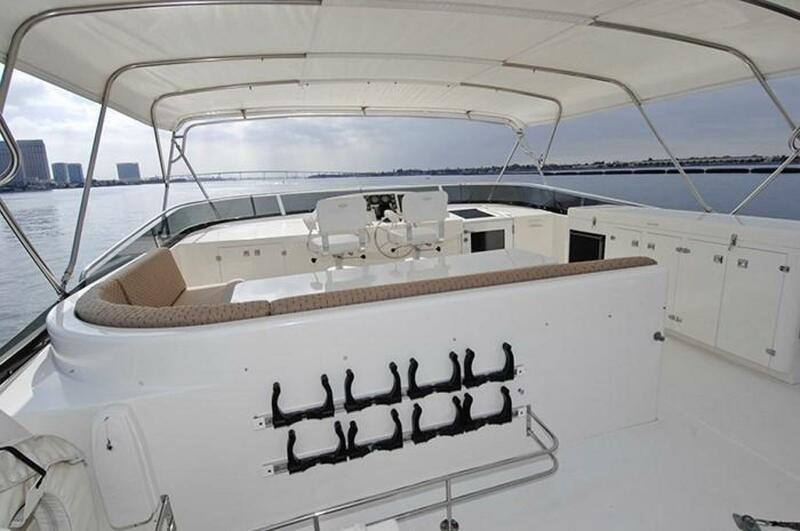 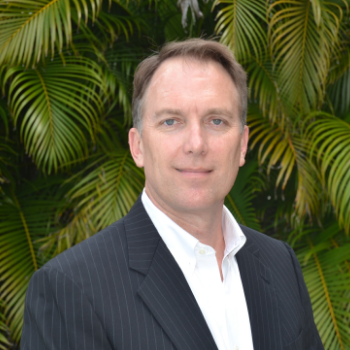 LADY O has been well-maintained throughout her life and represents an excellent value in today’s market. 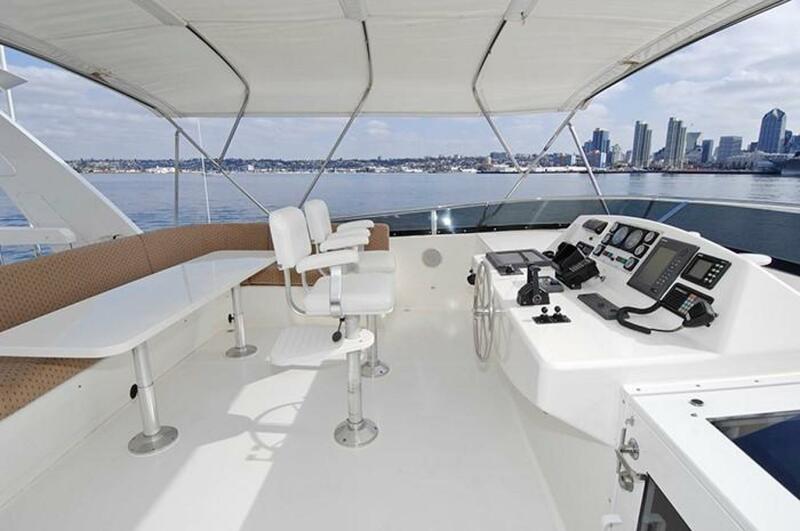 A very functional layout consisting of four staterooms, six guest heads, two separate crew cabins, one crew head, full walk-around side decks, and a large flybridge. 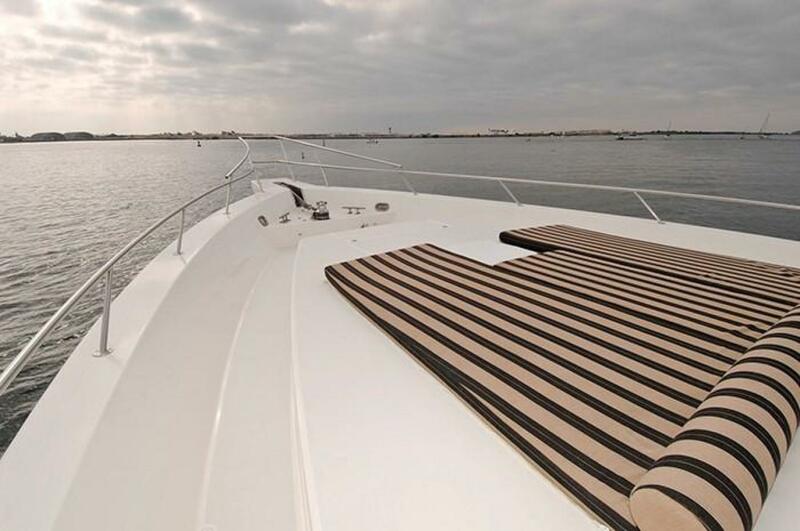 The yacht is boarded via a large swimstep. 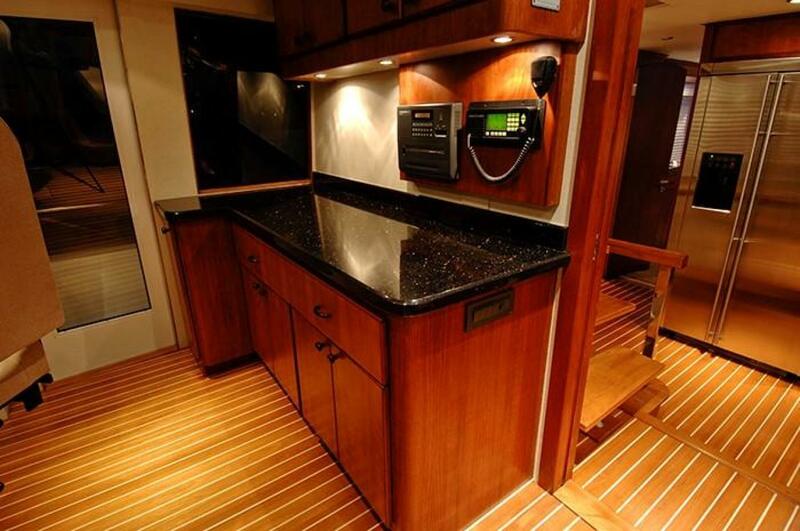 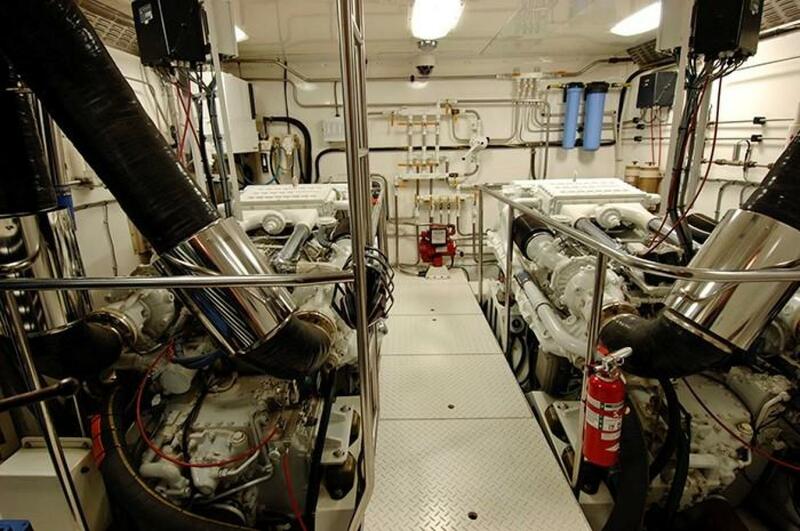 Crew quarters and engine room access are via the transom door at the swimstep. 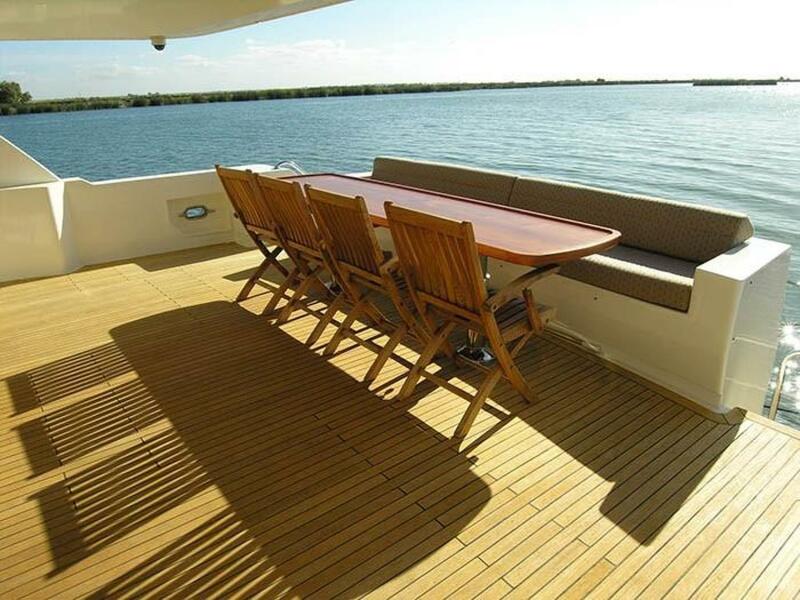 Stairs on the port and starboard side provide access to the aft deck which was expanded in 2007 and is equipped with built-in seating and a large custom table providing seating for ten. 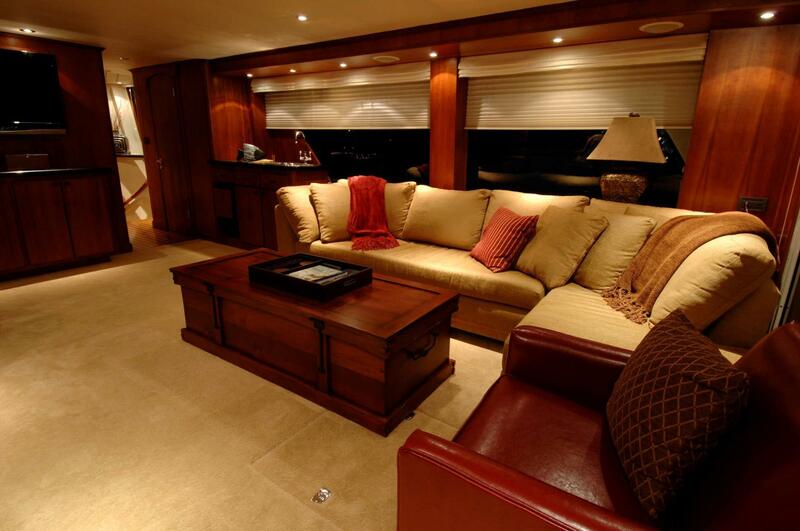 A sliding door provides access to the main salon where you are greeted by a warm and inviting interior décor, all new throughout the vessel in 2007. 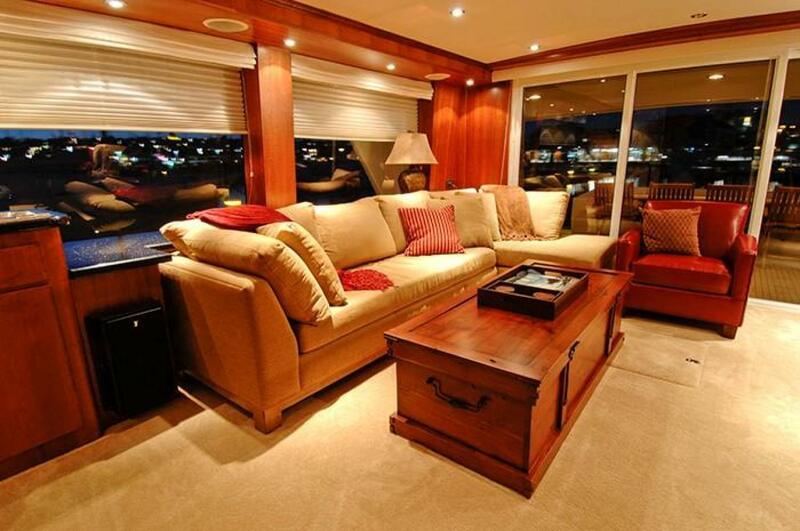 The refit included all soft goods, fixtures, wall coverings and custom furniture. 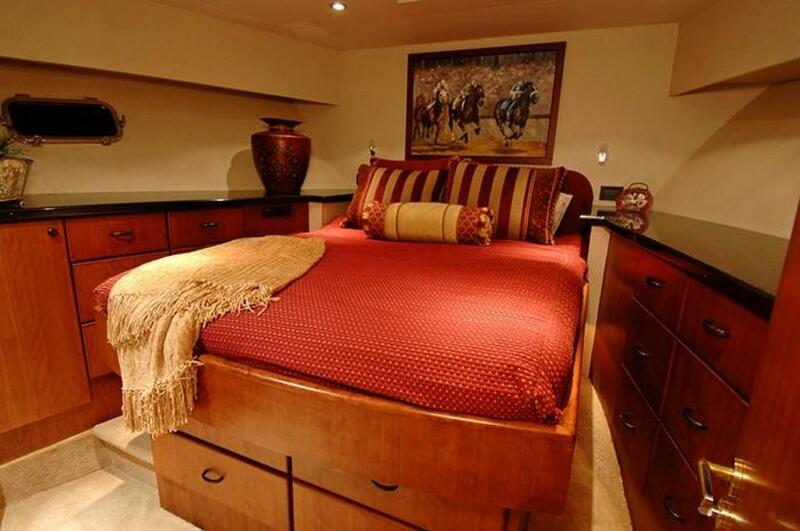 Custom satin finished cross-cut American cherry joinery is featured throughout. 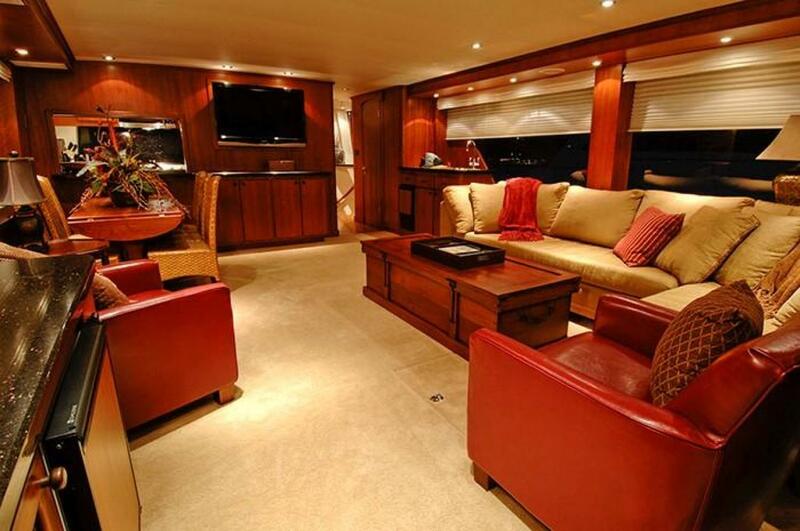 Bulkheads are covered in light ostrich leather and floors are covered with teak and holly and Berber carpeting. 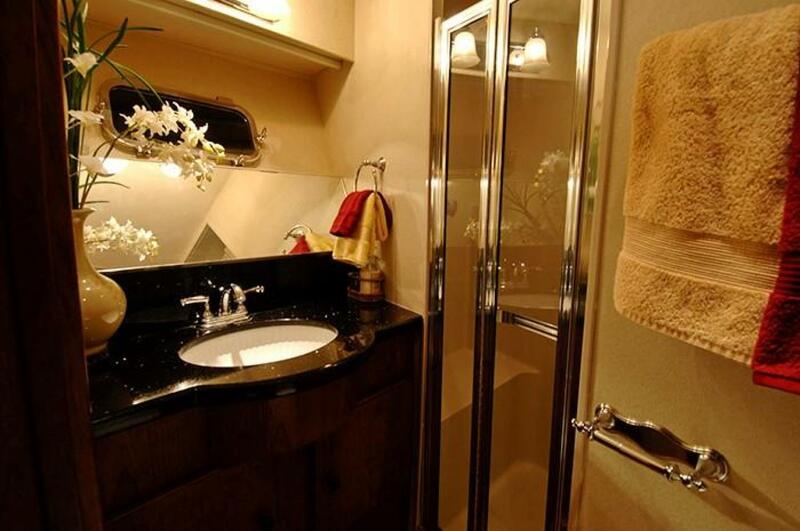 The interior soft goods were updated again in 2015. 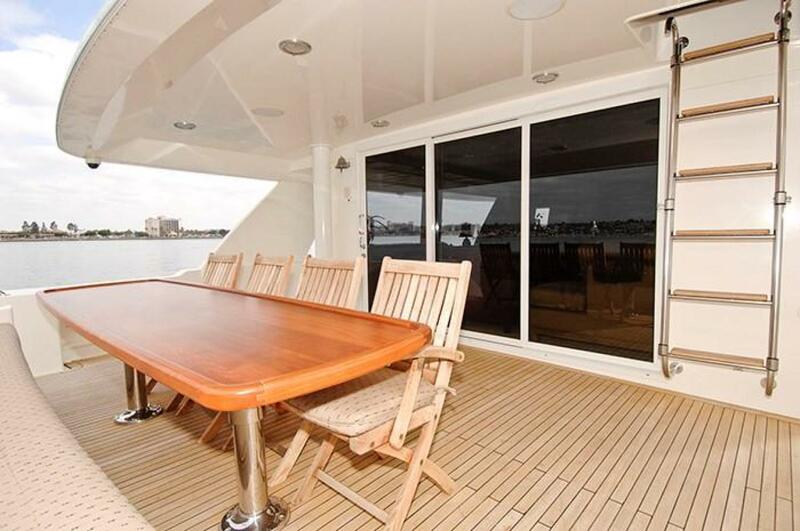 At the starboard forward end of the salon is access to the day head and a passageway which leads to the on-deck galley. 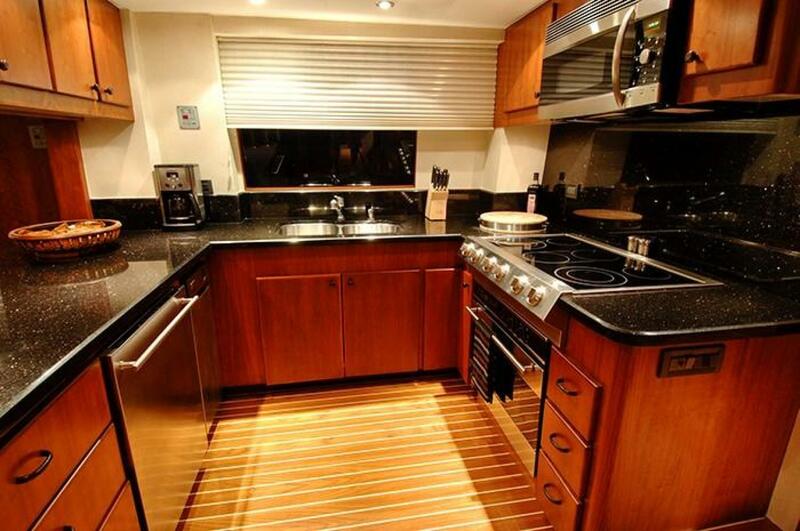 All galley appliances were upgraded in 2007 in addition to granite counter tops and teak and holly floors. 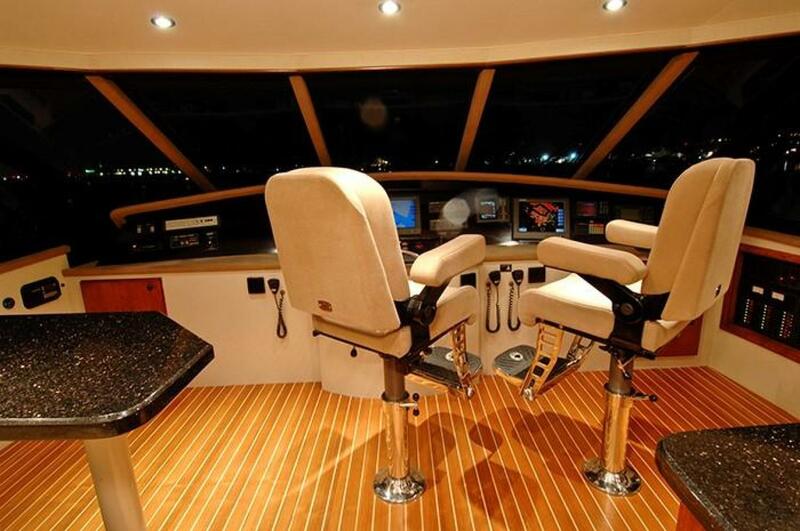 The pilothouse is directly forward of the galley and features a built-in settee and table, two Pompanette helm chairs, and port and starboard doors accessing the side deck. 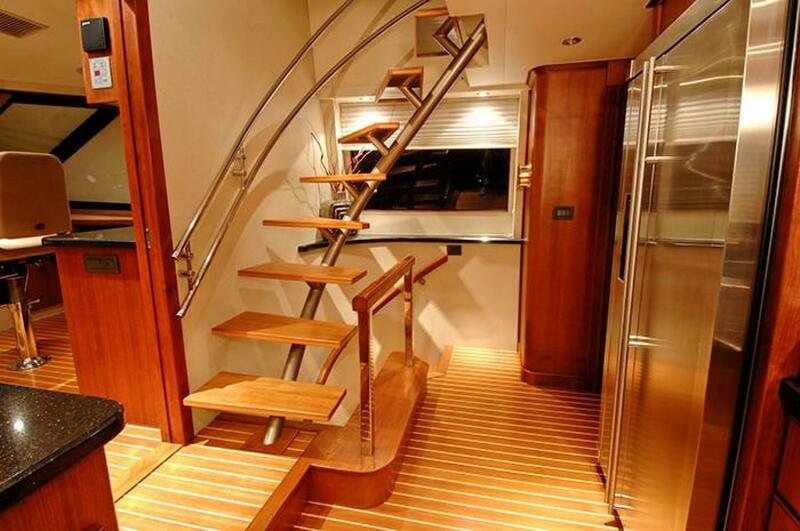 Access to the accommodations is via a curved staircase adjacent to the galley on the starboard side. 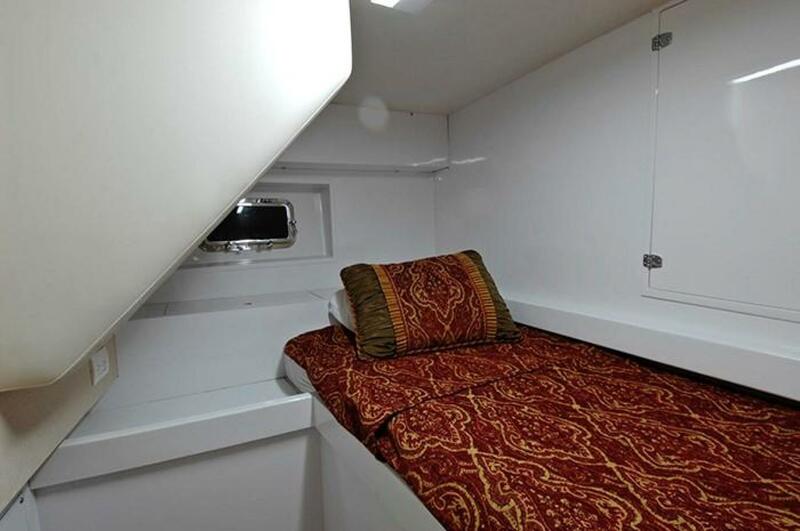 The full beam master stateroom is located amidships and features a centerline king size berth with his and hers heads, sharing a stall shower. 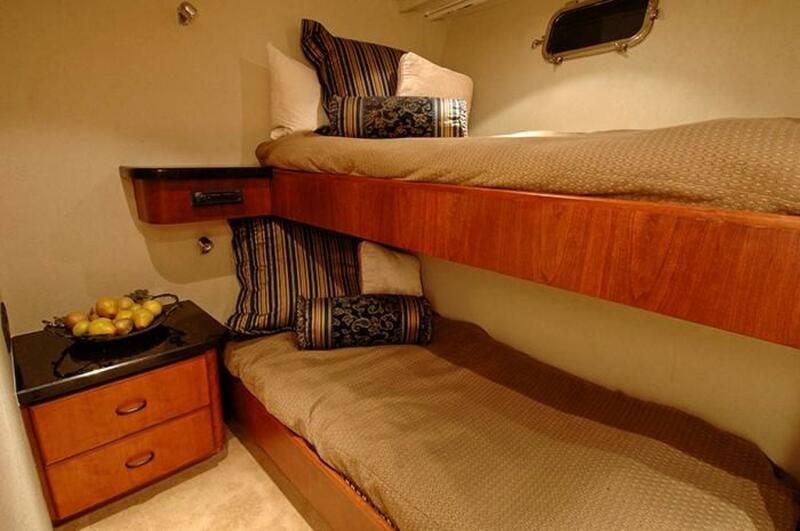 Moving forward from the master down the companionway is access to the port and starboard guest staterooms. 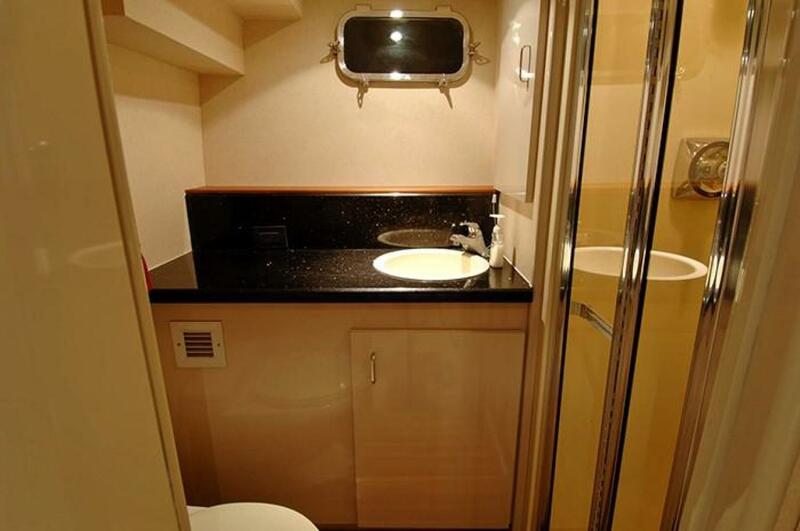 Both staterooms feature twin berths and ensuite heads with stall showers. 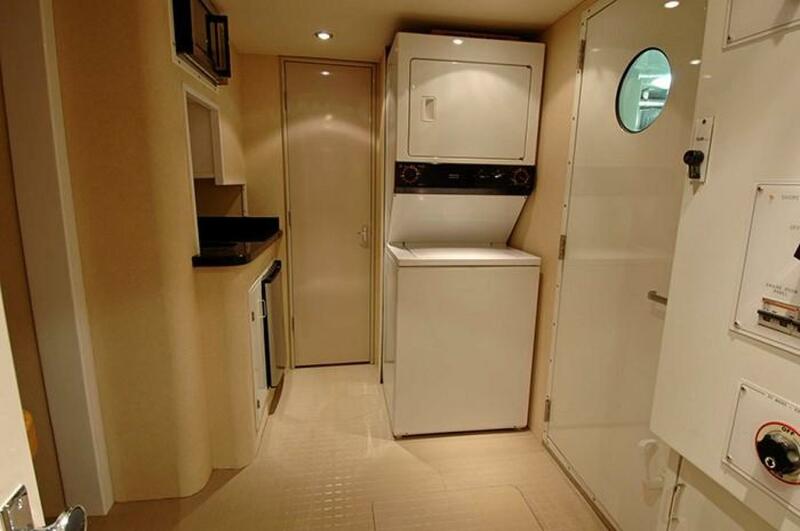 The VIP stateroom is forward in the bow section with a queen size berth and ensuite head with stall shower.